Foreign Object Debris (FOD) is any object that is not supposed to be on a runway. FOD can range from wildlife to aircraft parts to litter. 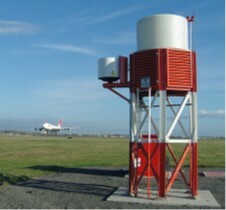 A runway debris detection system scans for FOD and alerts airport operators of potentially dangerous objects. In 2015, Moog entered into an exclusive agreement with QinetiQ Ltd. to license their Tarsier Automatic Runway FOD Detection System. QinetiQ is a former UK government agency called Defense Evaluation and Research Agency (DERA). Tarsier was developed based on research QinetiQ was conducting for the UK Ministry of Defense and was designed to military specifications. The Tarsier system was the world’s first automated Foreign Object Debris (FOD) detection and warning system when it became operational at Vancouver Canada’s airport in 2006. Tarsier now has more than 100,000 hours of operation at Vancouver, Heathrow, Doha and Boscombe Down RAF airbase. The Tarsier system, an automatic runway FOD detection system, uses millimeter wave radars to continuously scan runway surfaces. These high resolution radars are ideally suited for detecting debris day or night in clear or raining conditions. Tarsier’s radar performance is not affected by dust or heat waves and pinpoints debris location in precise range and bearing. Unlike camera-only systems, Tarsier continues to provide timely and accurate debris detection in low light conditions especially complete darkness and adverse weather including snow, sandstorms and dense fog. Advanced digital signal processing accurately identifies and confirms debris eliminating false alarms. The system has been proven to detect metal, plastic, rubber, glass and organic matter. Status information is relayed to airport operators through a single intuitive graphical display. Live video feeds from a powerful MIL-SPEC day and night camera systems are automatically cued to allow object verification before personnel are dispatched to remove debris. A high resolution night camera combined with a near infrared illuminator tuned to the lens system far exceeds any competing night vision system. An event log records data for historical analysis.